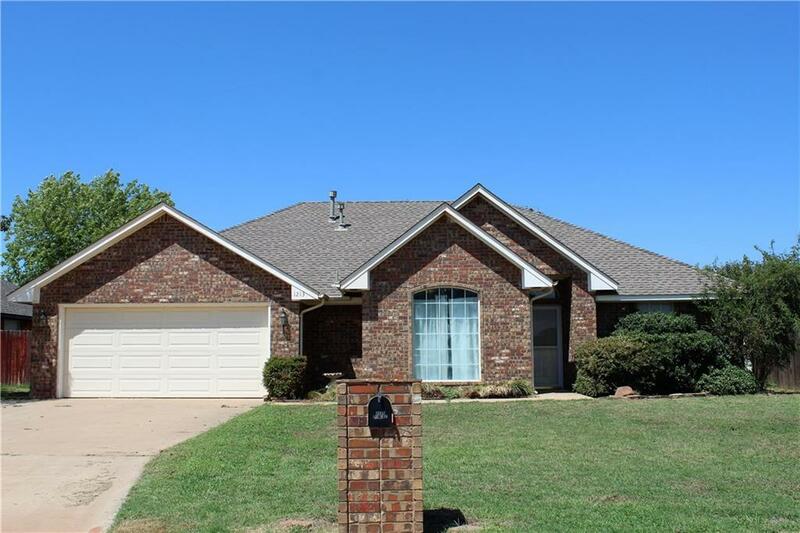 1213 Wendy Lane, Altus, OK.| MLS# 833882 | CENTURY 21 Altus Prestige Realty, Inc.
Super cute home with a great floor plan! Nice open living area! Split bedroom arrangement. Large master suite, master bath features a whirlpool tub, separate shower, walk-in closet and double sinks PLUS vanity. French doors leading to the backyard gives great natural light! Cozy fireplace with ventless gas logs. Pretty kitchen with lot's cabinets, two Lazy Susan's. island, microwave vent hood. Large covered patio, extra paved parking space in front and privacy fence. Storage shed and a larger gate in backyard.